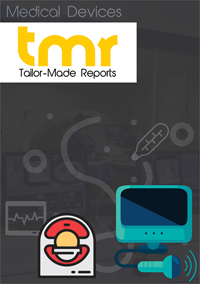 The global market for surgical waste management is gaining significantly from the technological advancements in surgical waste management devices in terms of technology. The increasing focus toward refurbishing the traditional surgical waste management devices with robot-assisted technology, thanks to the increasing trend of automation, is propelling this market, considerably. The technological advancements have augmented the efficacy and safety of devices, avoiding cross-contamination, which has transformed the waste management process to an automated process from a manual process. These technological advancements in surgical waste management devices are projected to propel the growth of the global market for surgical waste management in the years to come. On the basis of the geography, North America has been leading this market and is anticipated to remain on the top over the next few years. The annual increase in the number of surgeries, owing to various factors such as the geriatric population, sports-related injuries, lifestyle changes, and accidents, is the main factor behind the growth of the North America market for surgical waste management. Also, various government organizations, such as the EPA, the CDC, and the OSHA are striving to increase the awareness about the need for surgical waste management, creating a positive impact, and encouraging a number of hospitals and ambulatory surgical centers to purchase waste management devices or avail the services of the vendors of surgical waste management solutions. This, in turn, is expected to boost the growth of the global market for surgical waste management over the next few years. Waste disposal is a core issue in today’s industries, due to the increasingly negative impact that unsafe disposal creates on the environment and the overall quality of life. This applies especially to medical waste and surgical waste, where the latter can be responsible for the spread of diseases. Callous disposal of medical waste has also known to be responsible for the spreading of superbug infections as well as nosocomial infections, both of which are creating a high level of pressure on the healthcare industry in terms of treatment developments and options. As a result, the players in the global surgical waste management market need to not only adhere to the regional regulations they are based in, but also focus on the appropriate disposal of surgical waste so as to negate the chances of the spread of infections and diseases. The global surgical waste management market is likely to be a promising venture for most types of players, due to the increasing importance given to safe disposal of medical waste by key countries. The market is also currently being driven by the influx of a large number of technological advancements that are making it easier and safer to dispose surgical waste. More and more governments and regulatory authorities are pushing the global surgical waste management market through increasingly stringent regulations, creating a major space of improvement for all players in the market. The overall market is therefore leaning towards the improvement of services and the addition of new services, while scrapping the more conventional ones. Increasing volumes of data related to infections and cross-contamination precautionary measures are also allowing companies to help prevent the spread of diseases through better waste management methods. The rise of healthcare infrastructure across the world and especially in emerging economies is expected to create a certain boost in the requirement for advanced and safe medical and surgical waste management services. There are a large number of prominent players in this market so far, an a lot more are popping up in emerging economies. Clean Harbors, one of the leading entities in the global surgical waste management market, is currently on expansion mode after setting up facilities in locations such as Colfax. Players are also generating a greater awareness regarding the proper and safe disposal of surgical waste by informing readers and clients of the hazards of bacteria growth in medical waste the probabilities of generating and spreading superbug infections. Mergers and acquisitions are also a key part of expansion in the global surgical waste management market. Stryker Corp., for instance, recently announced the acquisition of Cactus LLC, in a bid to providing their customers a wider array of controlled medical and surgical waste management services. Asia Pacific is expected to show a very strong rate of growth in its activities in the global surgical waste management market, thanks to its booming healthcare industry. As medical options expand in number and in regional outreach, countries in the Asia Pacific regions – especially Japan, China, and India – are poised to be the next big thing in the global surgical waste management market and provide both global players and regional ones ample opportunities of growth over the coming years. Meanwhile, most of the leading players in the global surgical waste management market are housed in North America and Europe, where extremely stringent regulatory norms regarding medical waste disposal are pushing healthcare organizations to avail premium surgical waste management services. The highly competitive landscape of the global surgical waste management market is expected to grow even more intense in competition over the coming years, thanks to the swift rate of growth in demand. Leading players in the global surgical waste management market, such as Republic Services, Clean Harbors, Daniels Sharpsmart, Sharps Compliance, and Stericycle are expected to run into stronger competition from other prominent players such as Complete Medical Waste, USA Hazmat, AP Medical, and WasteXpress Environmental.